2. Operation “Y” and Shurik’s Other Adventures (1965), the Soviet Union, director Leonid Gaidai. Genre – melodrama, comedy. Actors: Alexander Demyanenko, Natalya Selezneva, Yuri Nikulin, Georgy Vitsin, Yevgeny Morgunov, Michael Pugovkin, Viktor Pavlov, Rina Zelyonaya. 3. 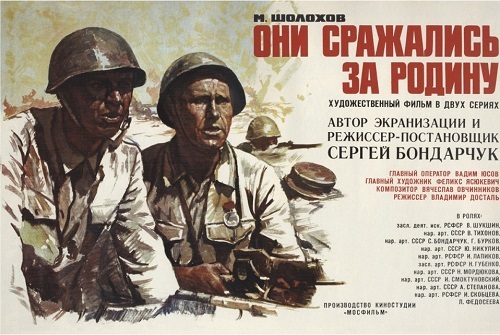 Only “Old Men” Are Going to Battle (1973), USSR, director Leonid Bykov. Genre drama, comedy, war. Cast Leonid Bykov, Sergei Podgorny, Sergei Ivanov, Rustam Sagdullaev, Evgenia Simonova. 4. 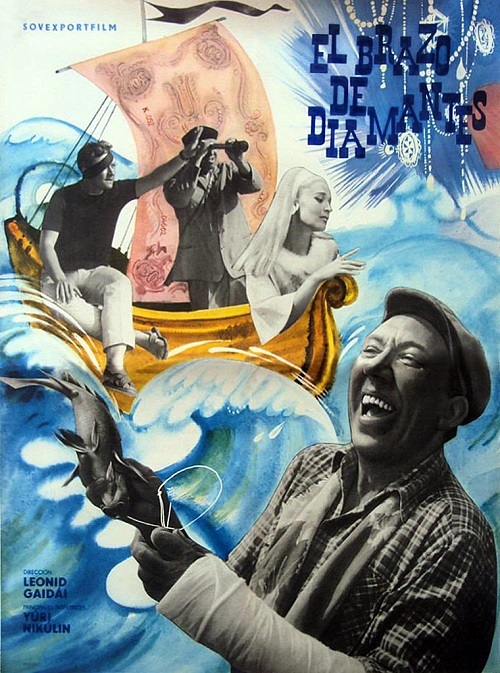 The Diamond Arm (1968). 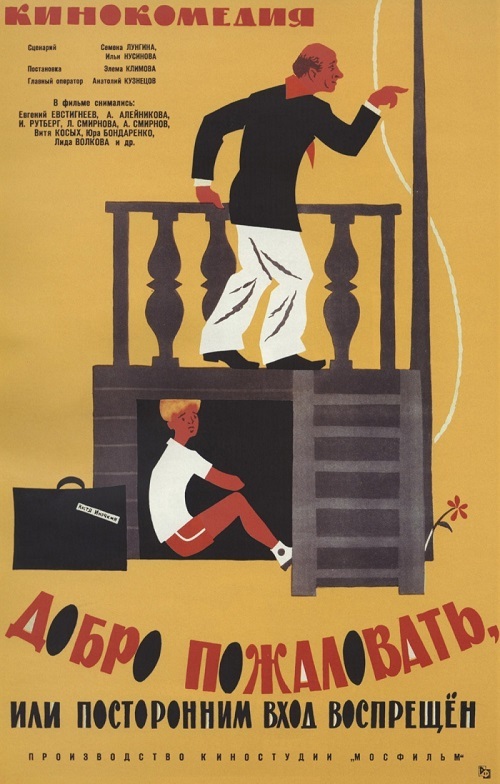 USSR, Director Leonid Gaidai. Genre – Comedy, Adventure. 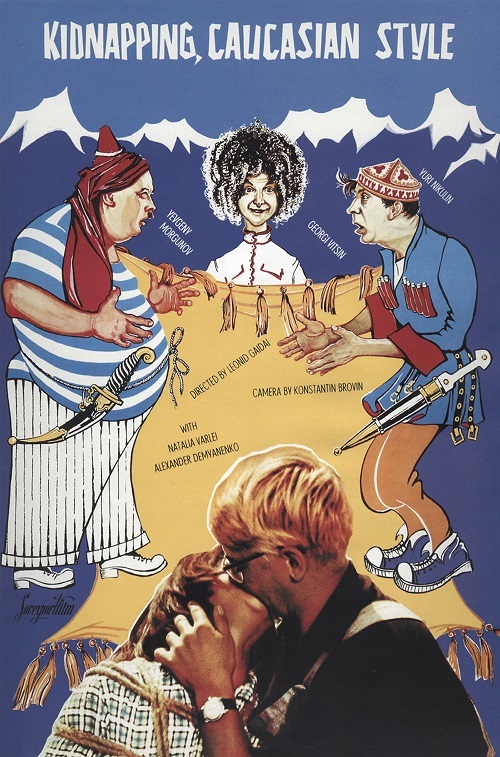 Starring Yuri Nikulin, Andrei Mironov, Anatoly Papanov, Svetlana Svetlichnaya, Nonna Mordyukova, Nina Grebeshkova. 5. 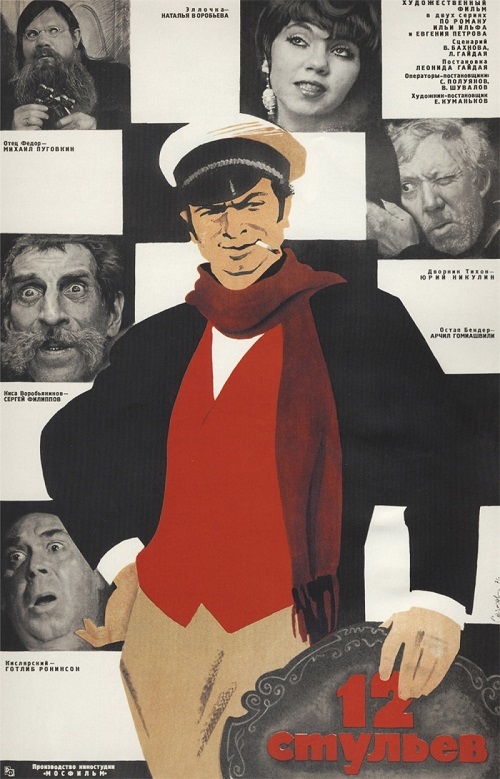 Gentlemen of Fortune (1971), Soviet director Alexander Sery. Genre – drama, comedy, crime. Actors Yevgeny Leonov, Georgy Vitsin, Savely Kramarov, Natalia Fateyeva, Erast Garin, Anatoly Papanov, Lyubov Sokolova. 6. 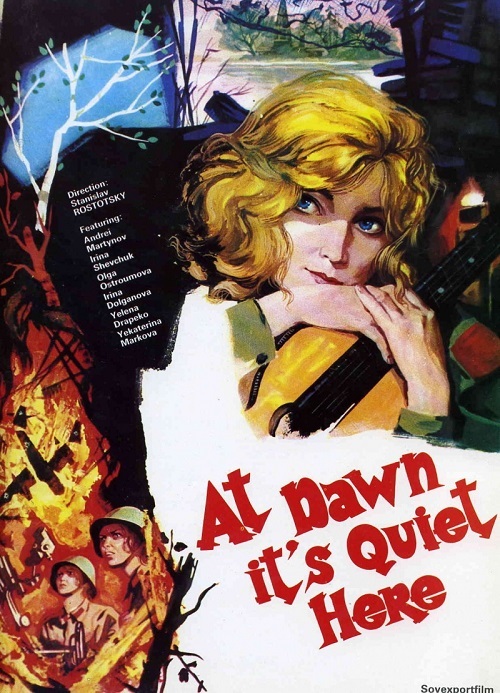 … The Dawns Are Quiet Here (1972), the USSR, director Stanislav Rostotsky. Genre Drama, War history. Starring Elena Drapeko, Ekaterina Markova, Olga Ostroumova, Irina Shevchuk, Irina Dolganova, Andrei Martynov, Lyudmila Zaitseva, Alexey Chernov. 7. 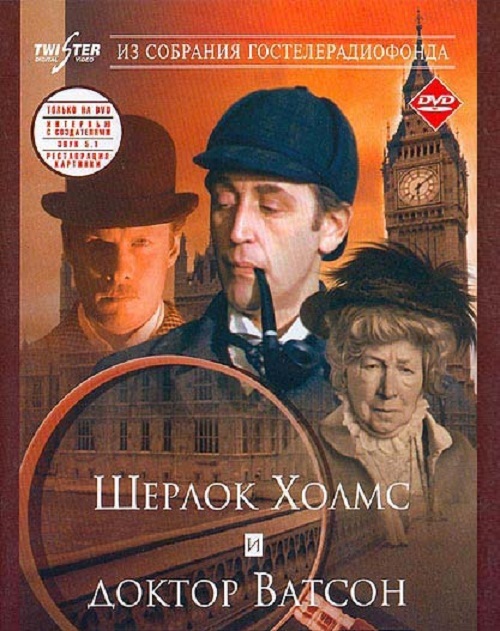 The Adventures of Sherlock Holmes and Dr. Watson: Bloody inscription (TV) (1979), Relationship (TV) (1979), Tiger Hunt (TV) (1980), King of blackmail (TV) (1980), Mortal Combat (TV) (1980 ), Hound of the Baskervilles (TV) (1981), Agra Treasure (TV) (1983). 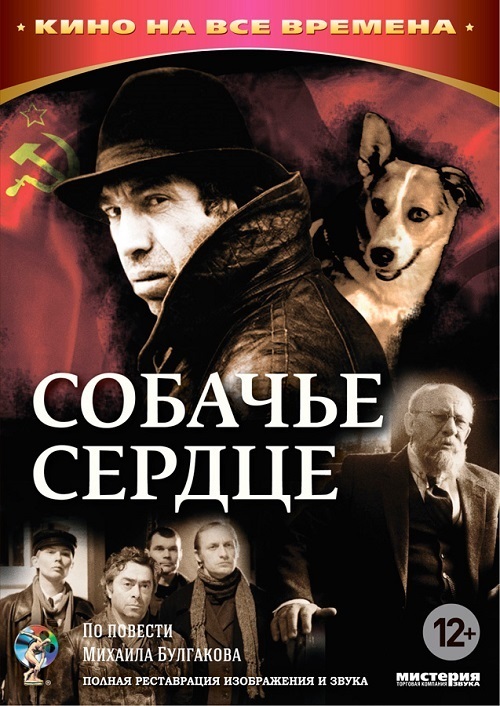 The USSR, director Igor Maslennikov. Genre Crime, Detective. 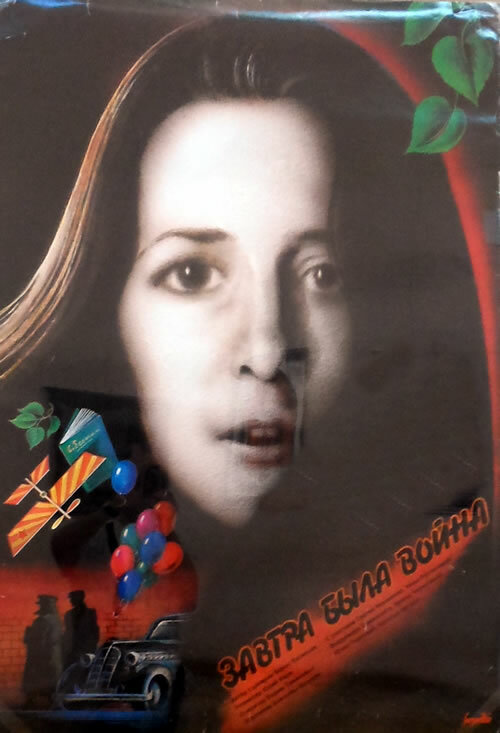 Starring Vasily Livanov and Vitaly Solomin, Rina Zelyonaya. 8. Kidnapping, Caucasian Style (1966). 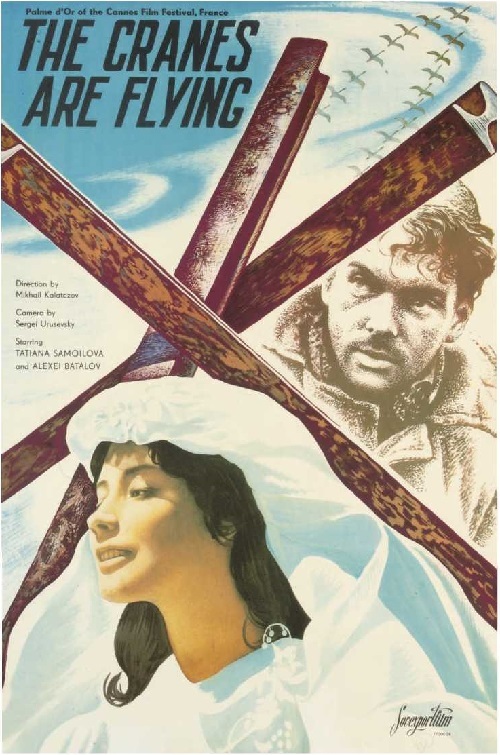 the USSR, Director Leonid Gaidai. Genre Romance, Comedy, adventure. Actors Alexander Demyanenko, Natalya Varley, Vladimir Etush, Yuri Nikulin, Georgy Vitsin, Yevgeny Morgunov, Nina Grebeshkova. 9. 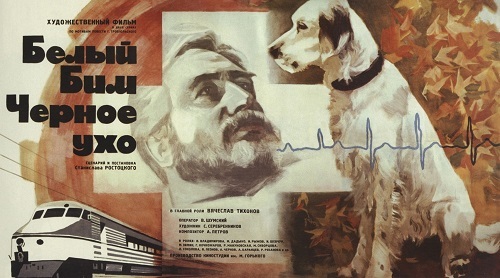 Heart of a Dog (TV) (1988), Soviet film directed by Vladimir Bortko. Genre fiction, drama, comedy. Cast Vladimir Tolokonnikov, Evgeny Evstigneev, Boris Plotnikov, Roman Kartsev, Nina Ruslanova. 10. 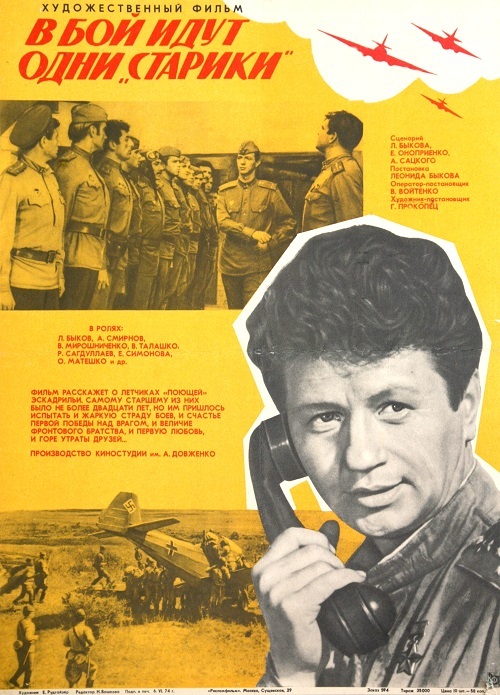 Officers (1971), Soviet film director Vladimir Rogovoy. Genre Drama, Romance. 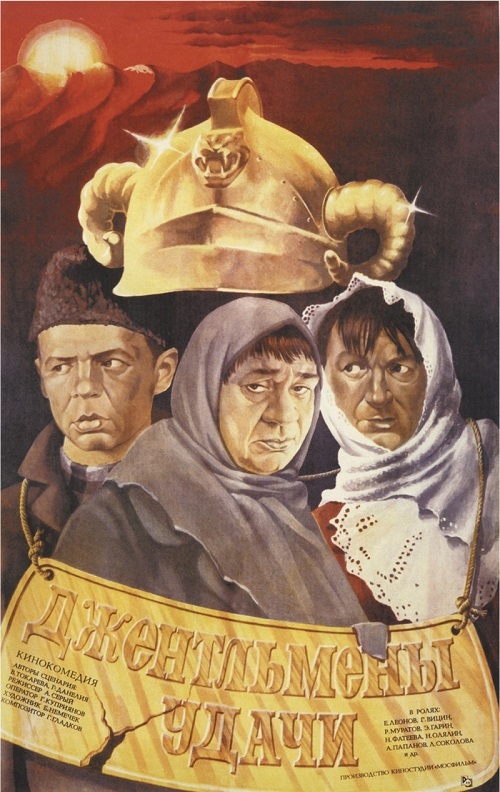 Starring Georgy Yumatov, Vasily Lanoviy, Alina Pokrovskaya. 11. 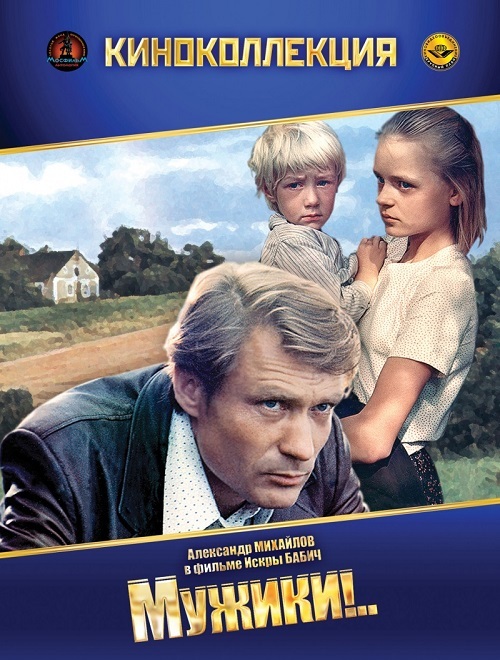 Moscow Does Not Believe in Tears (1979), Soviet film directed by Vladimir Menshov. Genre drama, romance, comedy. Cast Vera Alentova, Irina Muravyova, Alexei Batalov, Raisa Ryazanova, Alexander Fatyushin, Yuri Vasilyev. 12. 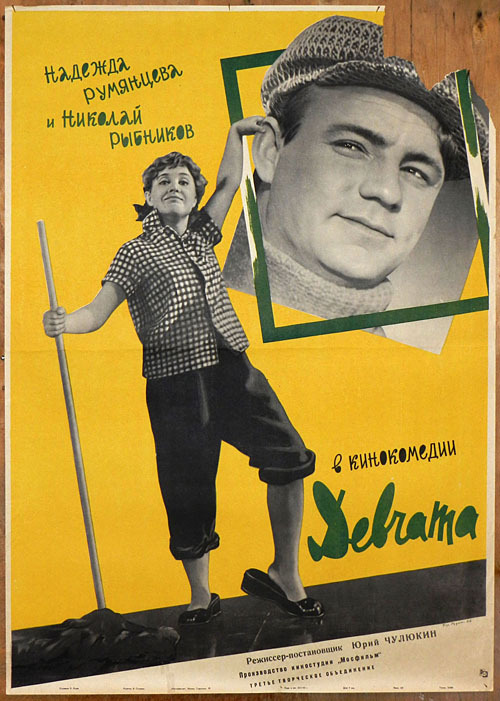 The Cranes Are Flying (1957), the USSR, director Mikhail Kalatozov. Genre Drama, Romance, War. 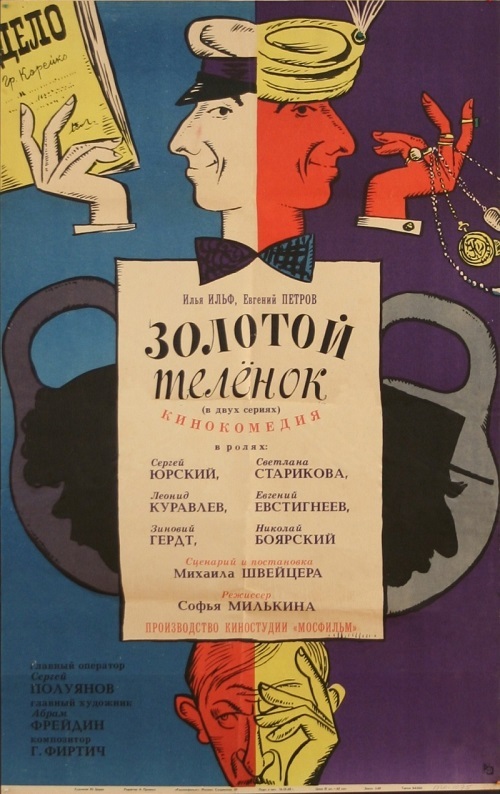 Starring Tatiana Samoilova, Alexei Batalov, Vasily Merkuryev, Alexander Shvorin, Svetlana Kharitonova. 13. Fate of a Man (1959), the USSR, director Sergei Bondarchuk. Genre Drama, War. Actors Sergei Bondarchuk, Pavel Polunin, Zinaida Kiriyenko, Pavel Volkov, Yuri Averin, Kirill Alekseev. 14. White Bim Black Ear (1976), the USSR, director Stanislav Rostockiy. Genre Drama. Actors Vyacheslav Tikhonov, Valentina Vladimirova, Ivan Ryzhov, Irina Shevchuk, Mikhail Zimin. 15. 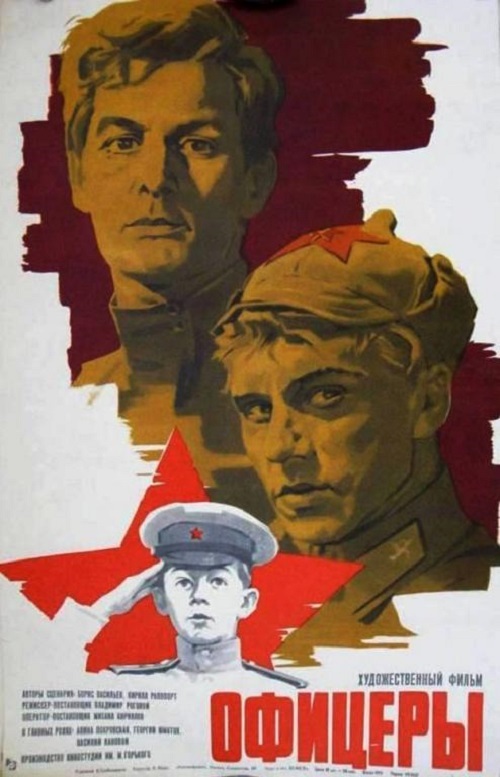 They Fought for Their Motherland (1975), the USSR, director Sergei Bondarchuk. Genre Drama, War history. Actors Vasily Shukshin, Vyacheslav Tikhonov, Sergey Bondarchuk, George Burkov, Yuri Nikulin, Ivan Lapikov, Nikolai Gubenko, Andrey Rostotskiy, Nikolai Volkov. 16. Office Romance (1977), the USSR, director Eldar Ryazanov. Genre Romance, Comedy. 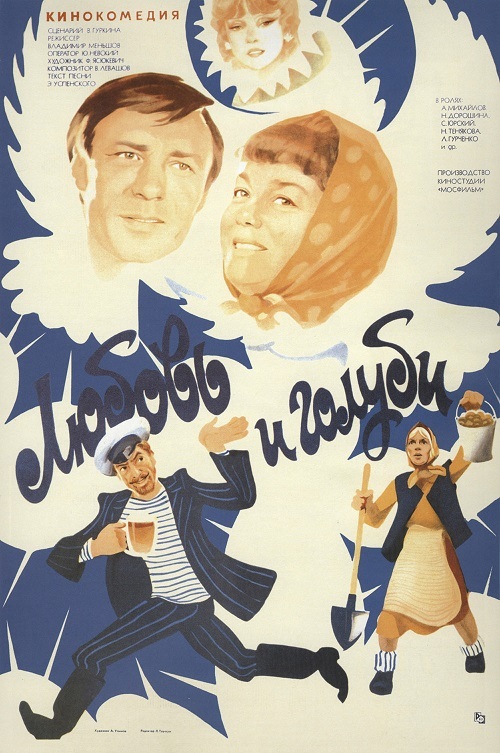 Starring Andrew Myagkov, Alisa Freindlikh, Svetlana Nemolyaeva, Oleg Basilashvili, Georgy Burkov, Zoya Isayeva, Lyudmila Ivanova, Pyotr Shcherbakov. 17. 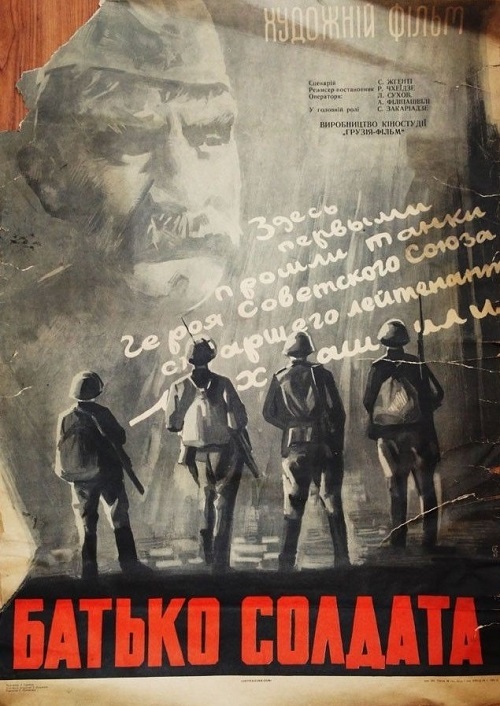 Ballad of a Soldier (1959), the USSR, director Gregory Chukhray. Genre Drama, Romance, War. Actors Vladimir Ivashov, Zhanna Prokhorenko, Antonina Maksimova, Nikolai Kryuchkov, Yevgeny Urbanski, Elsa Lezhdey, Alexander Kuznetsov. 18. Girls (1961), the USSR, director Yuri Chulyukin. Genre Romance, Comedy. Actors – Nadezhda Rumyantseva, Nikolay Rybnikov, Luciena Ovchinnikova, Inna Makarova, Svetlana Druzhinina, Nina Menshikova, Mikhail Pugovkin. 19. 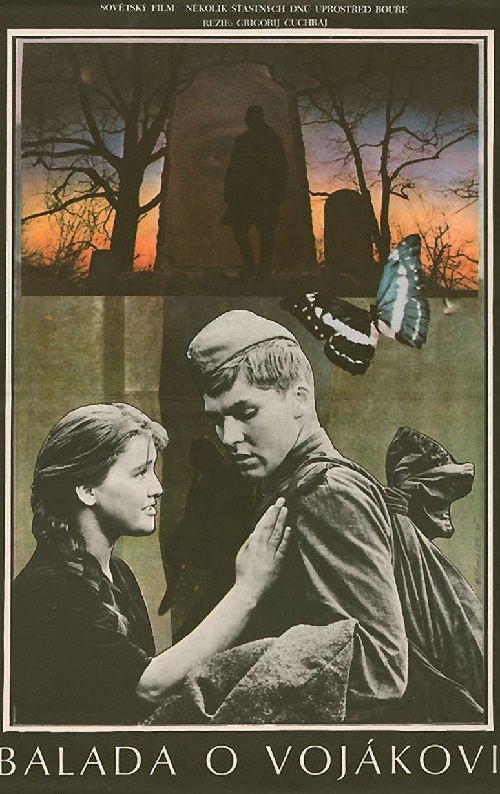 Welcome, or No Trespassing (1964), the USSR, director Elem Klimov. Genre Comedy, Family. 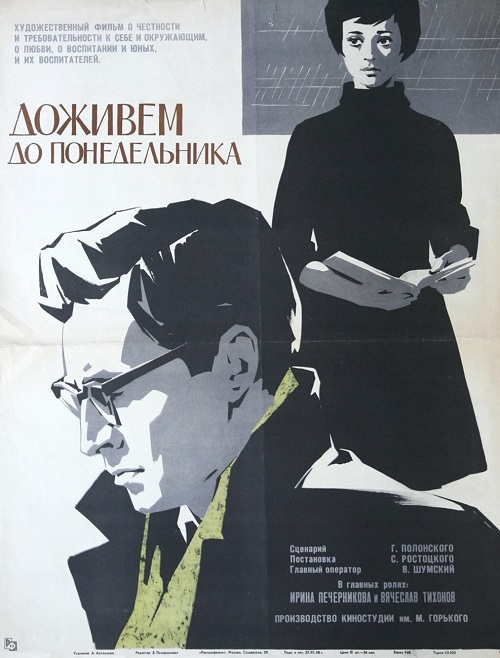 Starring Victor Kosykh, Evgeny Evstigneev, Arina Aleynikova, Lydia Smirnova, Alexei Smirnov, Nina Shatskaya, Lydia Volkova. 20. Love and Pigeons (1984), the USSR, director Vladimir Menshov. Genre Romance, Comedy. Actors Alexander Mikhailov, Nina Doroshina, Lyudmila Gurchenko, Sergei Yursky, Vladimir Menshov. 21. 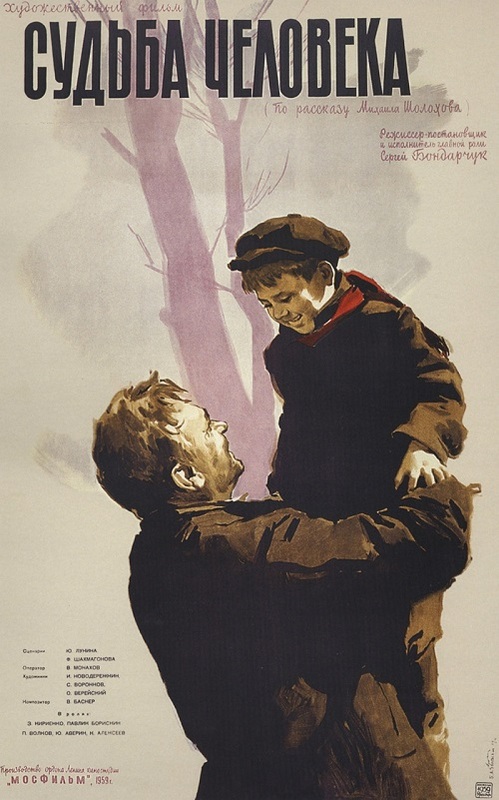 Father of a Soldier (1965), the USSR, director Rezo Chkheidze. Genre Drama, War. 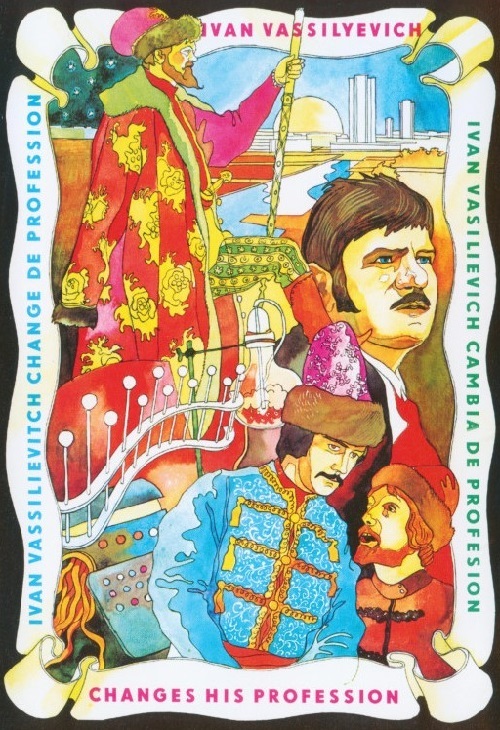 Starring Sergo Zakariadze, Vladimir Privaltsev, Alexander Nazarov, Alexander Lebedev, Yuri Drozdov. 22. You couldn’t even dream … (1980), the USSR, director Ilya Frez. Genre Drama, Romance. 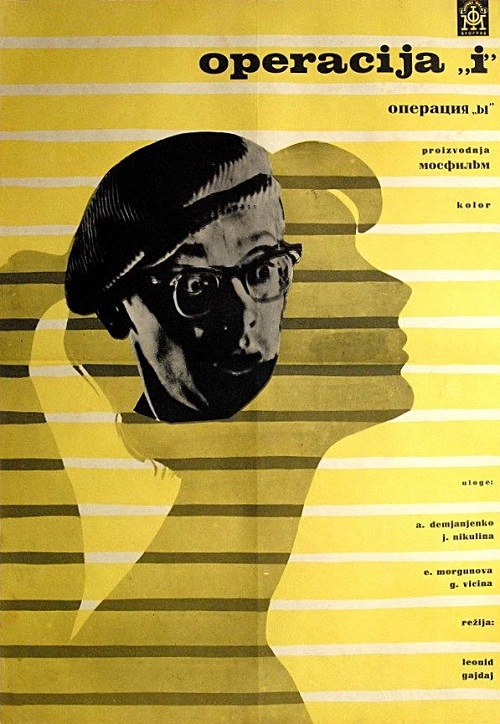 Starring – Tatiana Aksyuta, Nikita Mikhailovsky, Yelena Solovey, Irina Miroshnichenko, Lydia Fedoseyeva-Shukshina, Albert Filozov, Tatiana Peltzer, Rufina Nifontova, Yevgeny Gerasimov, Ekaterina Vasilyeva. 23. 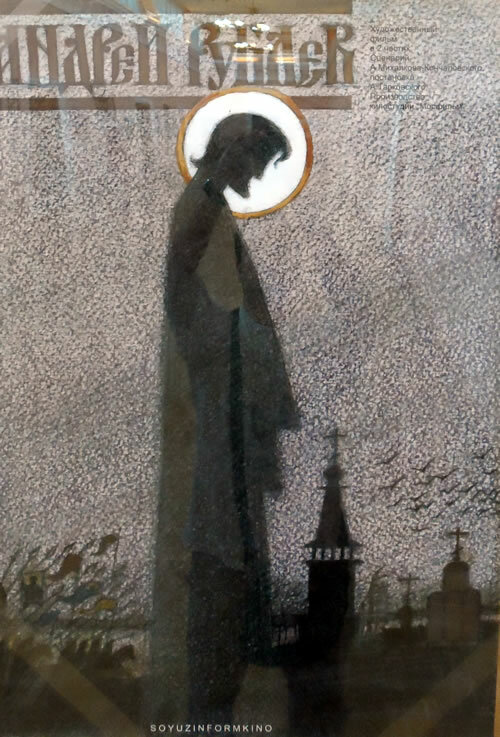 Andrei Rublev (1966), the USSR, director Andrei Tarkovsky. Genre Drama, Biography, History. Actors Anatoly Solonitsyn, Ivan Lapikov, Nikolai Grinko, Nikolay Sergeev, Nikolai Burlyaev, Yuri Nazarov, Yuri Nikulin, Rolan Bykov. 24. 12 chairs (1971), the USSR, director Leonid Gaidai. Genre Comedy. Actors Archil Gomiashvili, Sergey Filippov, Mikhail Pugovkin, Natalia Krachkovskaya, Natalia Vorobieva, Nina Grebeshkova, Yuri Nikulin, Natalia Varley, Clara Rumyanova. 25. 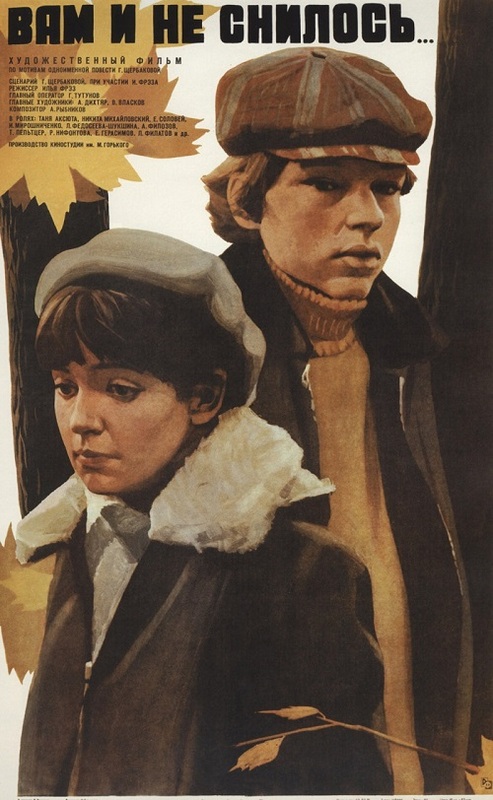 We’ll Live Till Monday (1968), the USSR, the director Stanislav Rostotsky. Genre Romance, Drama. Actors Vyacheslav Tikhonov, Irina Pechernikova, Nina Menshikova, Mikhail Zimin, Olga Ostroumova. 26. The Golden Calf (1968), the USSR, director Michael Schweitzer. Genre Comedy. Actors Sergei Yursky, Leonid Kuravlev, Zinovy Gerdt, Evgeniy Evstigneev, Nikolai Boyarsky, Mikhail Kokshenov. 27. 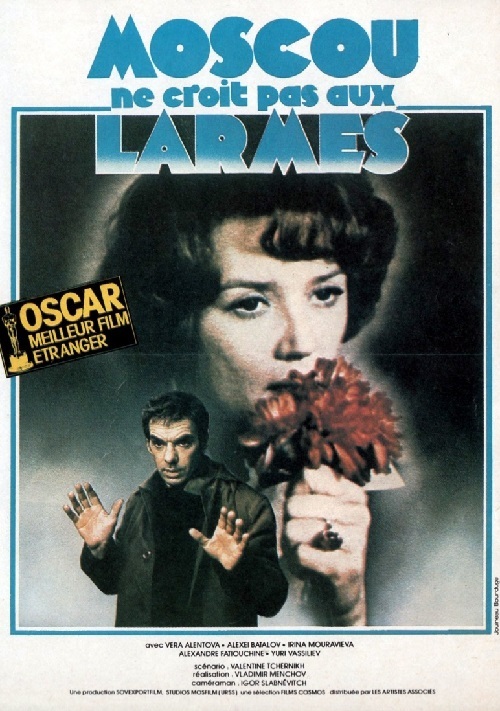 Tomorrow was the War (1987), the USSR, director Yuri Kara. Genre Drama, Family. Actors Sergei Nikonenko, Nina Ruslanova, Vera Alentova, Natalia Negoda. 28. Cruel Romance (1984), the USSR, director Eldar Ryazanov. Genre Drama, Romance. 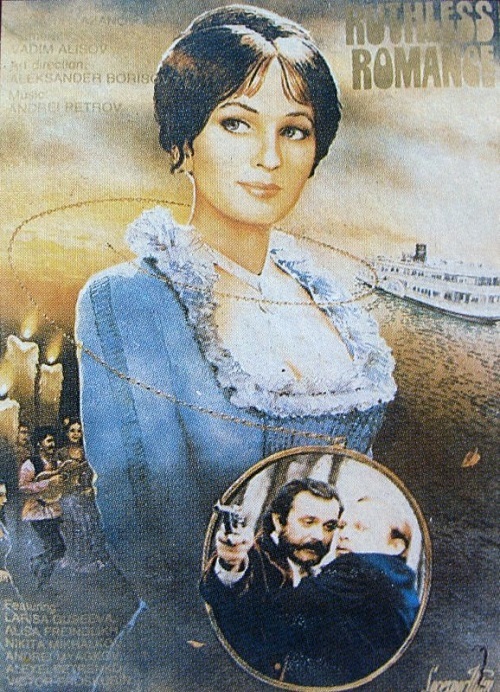 Starring Larisa Guzeeva, Andrey Myagkov, Alisa Freindlich, Nikita Mikhalkov, Alexei Petrenko, Victor Proskurin, Georgy Burkov. 29. 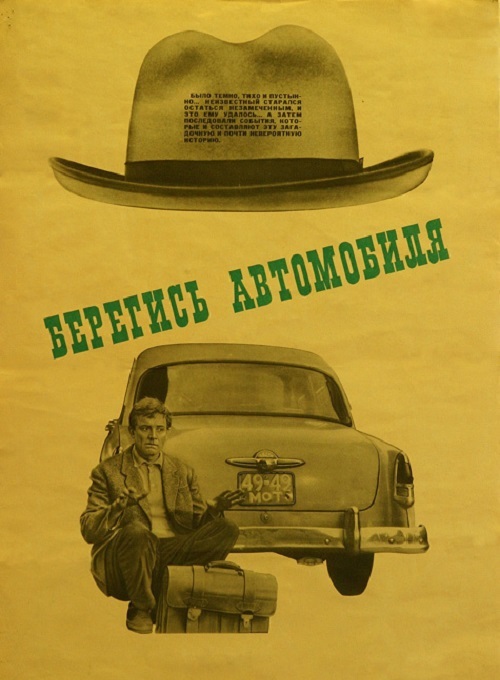 Beware of the Car (1966), the USSR, director Eldar Ryazanov. Genre Romance, Comedy, Crime. Actors – Innokenty Smoktunovsky, Oleg Efremov, Anatoly Papanov, Olga Aroseva, Andrei Mironov, Evgeny Evstigneev, Lyubov Sokolova. 30. Muzhiki! (Guys!) 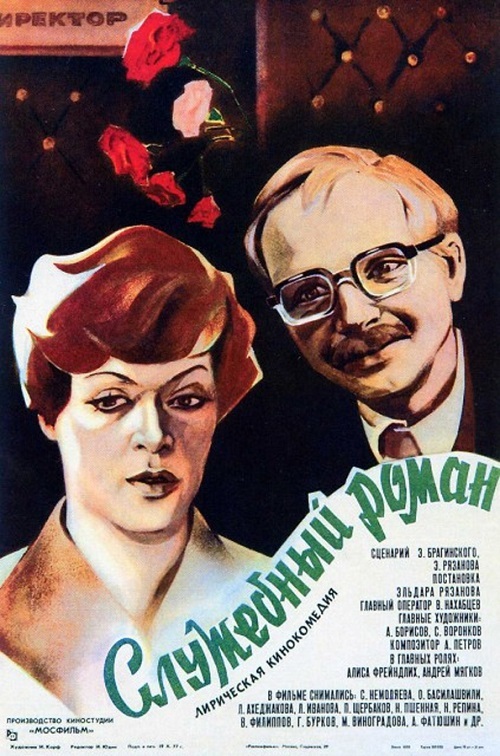 .. (1981), the USSR, director Iskra Babich. Genre Drama. Actors Alexander Mikhailov, Irina Ivanova, Pyotr Glebov, Alexander Pavlov, Anatoly Solonitsyn.